Dragon Fire is Slow Dragon Music’s brief news round-up, filled with chunks of fleshy goodness. It’s only January, and things are getting wild already! There are absolutely tonnes of new releases on the horizon, with many of them looking rather promising to say the least. As Dragon Fire is supposed to be a rather quick read, it would be impossible to cover all of them here, so we’ve cherry-picked a few of the more interesting bits of news which have come our way. Enjoy! 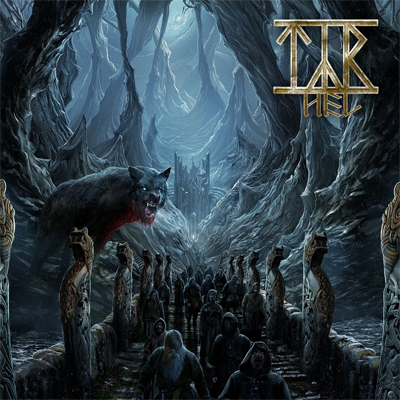 Progressive folk metallers, Tyr, release their 8th studio album on March 8th. Titled Hel (after the Norse goddess of the underworld of the same name), you can pre-order one of the numerous collector’s packages from the Metal Blade site, where you can also hear first single, Fire And Flame (also available as a lyric video on YouTube). Southampton old school metallers, Toledo Steel, have a new video out for When The Night Draws In. Taken from their 2018 album, No Quarter, the video is being premiered at Deaf Forever . You can also hear the title track on various platforms, courtesy of label, Dissonance Productions. Currently out on tour in the US with Septicflesh and Arsis, Ensiferum also seem to be racking up some high-profile festival slots for 2019. This month they have been announced for Brutal Assault, as well as appearing at 70,000 Tons Of Metal. Dundee metal squad, Catalysis, have released a “making of” video about the process of creating their self-titled December 2018 EP. The 20 minute rockumentary, The Other Side, is available to watch in full on YouTube. 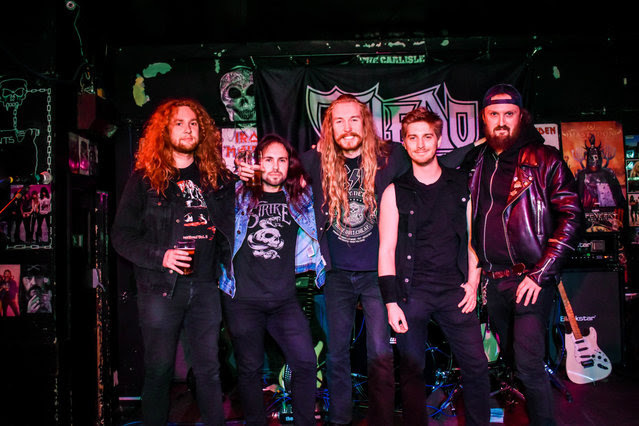 Bloodstock Open Air have kicked off 2019 in style, with four new additions to the bill. The August metal fest now features Powerwolf, Soulfly, Incite, and Swallow The Sun among its ranks, joining Sabaton, Scorpions, Anthrax, Dimmu Borgir, Death Angel, and Rotting Christ to name only a few. If you haven’t already got them, standard tickets are currently on sale, and you can also use the deposit scheme to spread the cost. Remember, you can help support Slow Dragon Music by buying your tickets by clicking through the link on the right. Irish website Over Drive premiered a new video from Dead Label this week. The stomping False Messiah is the first to feature the band as a four-piece, with the addition of new guitarist Mick Hynes. Samael, from Samael‘s 2017 album, Hegemony, has been given the live video treatment. Filmed live in Poland, and their home country of Switzerland, some of the footage used was shot by members of live audiences, to create a greater connection with their fans. Carnal Forge are back with another video from their upcoming album. Like predecessor Parasites, Reforged is taken from Gun To Mouth Salvation, out January 25, on ViciSolum Productions. As part of a continuing theme, Swedish power-trio Märvel have released a cover of Johnny Winters’ classic, Rock And Roll Hoochie Coo. They are putting out one track every Friday from their upcoming Guilty Pleasure album. The previous two singles are Dire Straits’ Sultan’s Of Swing and REO Speedwagon’s Keep Pushin’. 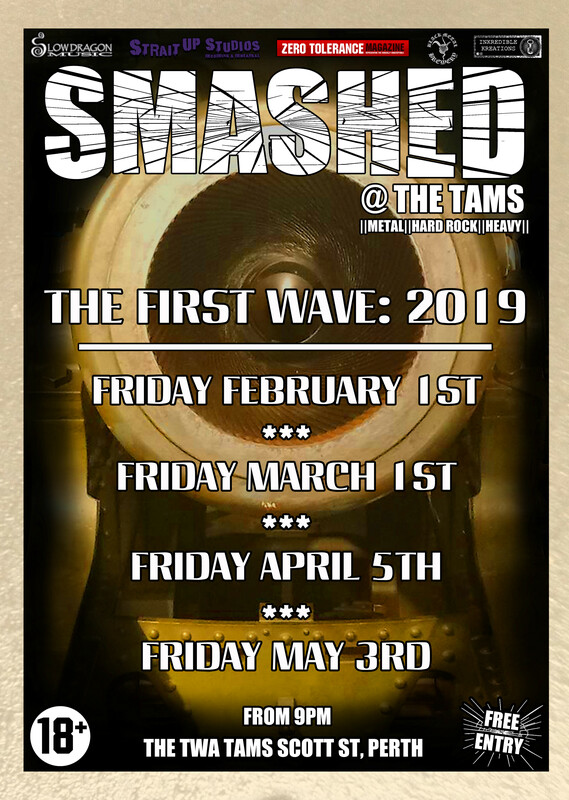 Posted in Latest News and tagged 70000 Tons Of Metal, Anthrax, Arsis, Bloodstock, Brutal Assault, Carnal Forge, Catalysis, Dead Label, Deaf Forever, Dire Straits, Dissonance Productions, Dragon Fire, Ensiferum, False Messiah, Gun To Mouth Salvation, Hegemony, Hellraiser, Incite, Keep Pushin, Märvel, Metal, Metal Blade Records, Metal News, No Quarter, Over Drive, Parasites, Powerwolf, Reforged, REO Speedwagon, Rock, Rock And Roll Hoochie Coo, Rock News, Sabaton, Samael, Scorpions, Septicflesh, Slow Dragon Music, Soulfly, Sultans Of Swing, Swallow The Sun, The Other Side, Toledo Steel, Tyr, When The Night Draws In.